Google is testing a new format for the local “Nearby Businesses” ads. Instead of the usual pack style we have usually seen in the search results, Google has switched it to a carousel style. 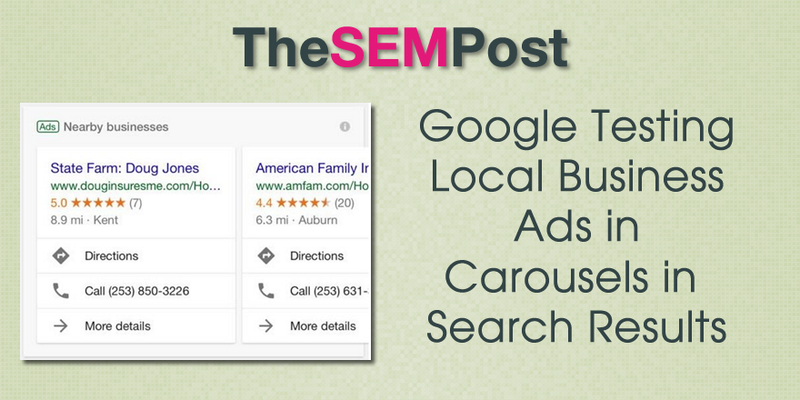 This new carousel appears above the regular AdWords ads for added exposure. It also means for those local businesses advertising in their local packs, that first position will be even more important, since it is the only ad shown in its entirety. The second ad in the carousel is only partially visible. 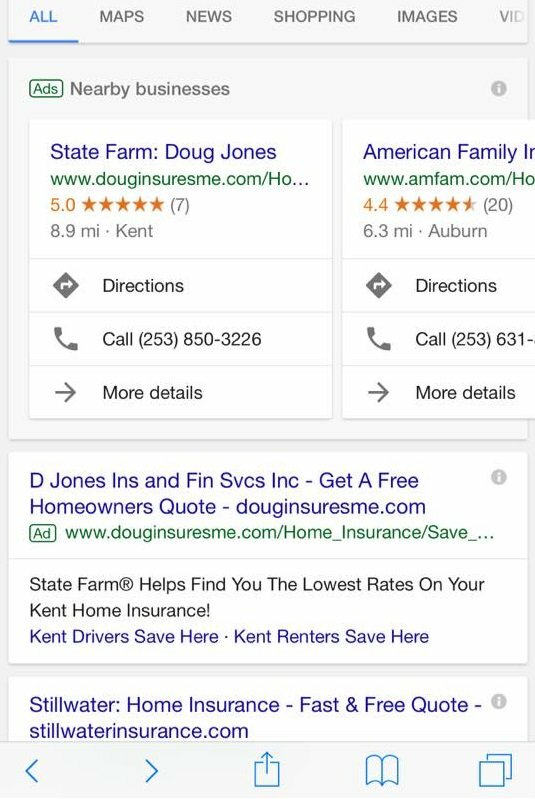 Google has been testing plenty of formats for their local business ads, and it is surprising they haven’t tested the carousel until now. But unless the advertiser is in that coveted first spot, I suspect many advertisers won’t like it as much.